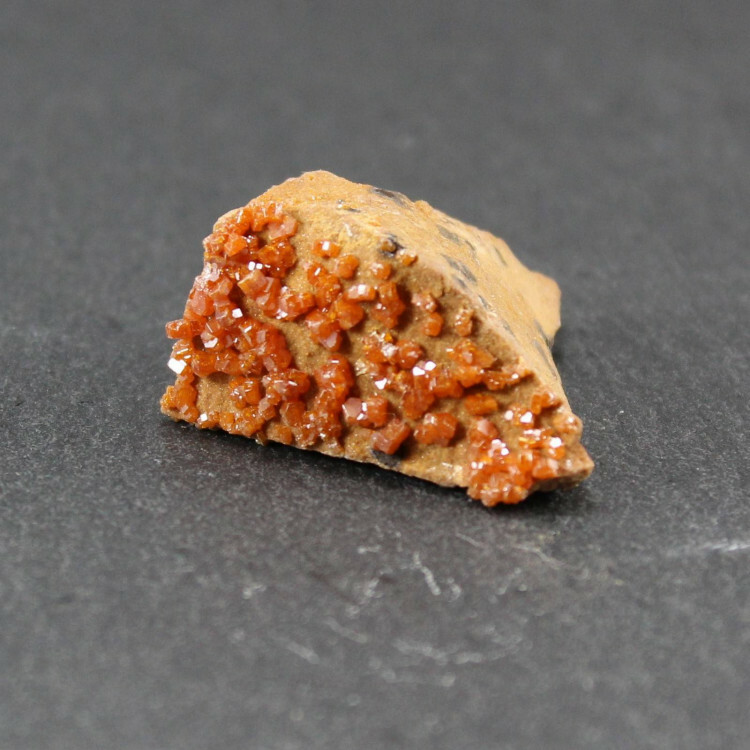 Small Vanadinite specimens on matrix rock, available in a range of different sizes. Vanadinite specimens consist of lovely red hexagonal crystals on a stone matrix, and make an interesting mineral collectors object. 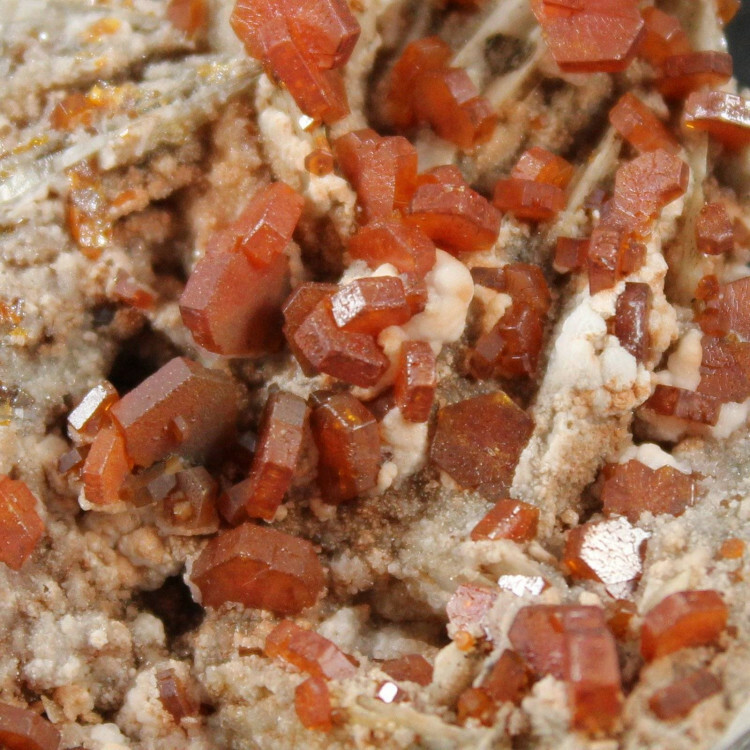 In some cases these stones will be on a Baryte matrix, and most come from Morocco. 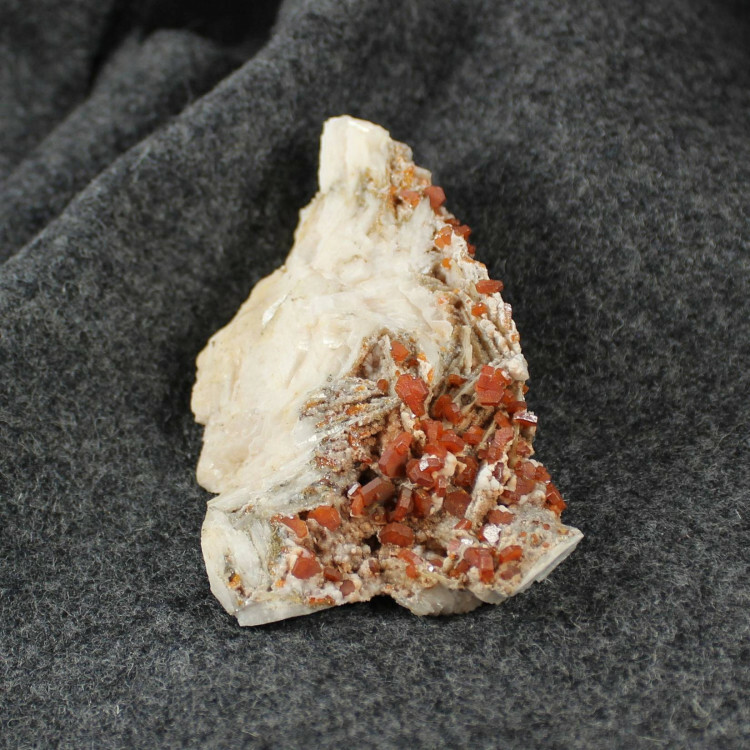 We have pieces from 25-100MM approximately available for sale now – and we may be able to get larger pieces upon request. Due to the fragile nature of these pieces, they will always be sent as a parcel no matter their size. Because the hexagonal crystals sit on top of the matrix, a lot of padding is required. Obviously, we don’t want the pieces broken during shipping. 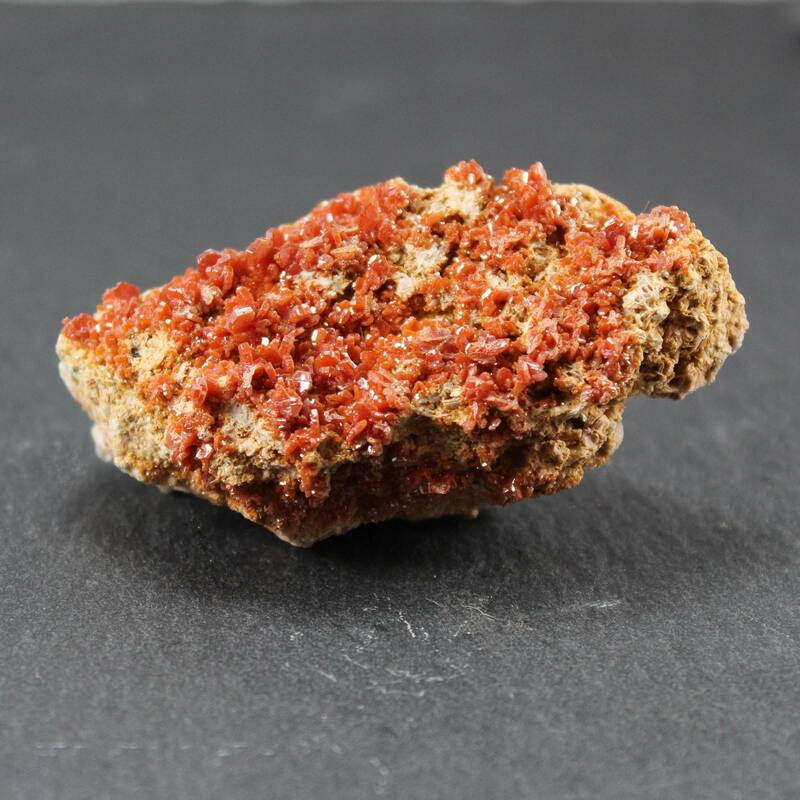 For more information about Vanadinite, and a full list of all our related products, please see our main ‘Vanadinite’ section.